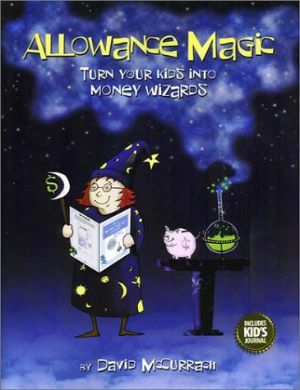 The first eight pages of Allowance Magic has everything you need to begin helping your kids learn to plan their spending, shop for value, save and share. You spend less money on your kids. You no longer have the frustrations of trying to use money to change behavior. Your kids learn to plan their spending, shop for value and save and share on a regular basis. Money hassles, associated with constant requests for cash, are gone forever. How frequent to give each allowance. Give advances on future allowances. How often to review allowances, amounts and frequencies. © Copyright 2004 by David McCurrach. All rights reserved. Revised 5/29/04.